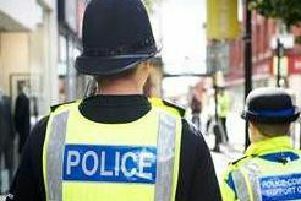 n A man has admitted repeatedly indecently exposing himself a seven-year-old girl in St Annes. Neville Crouch said he saw the little girl waving to him from her bedroom window. Wearing only a black duffle coat, socks and shoes he exposed himself to the child four times in three days. On two occasions the little girl’s four-year-old sister was also in the bedroom with her. Crouch told police he had been experiencing sexual urges towards young girls and he was disgusted with himself. Crouch, 59, of Holmefield Road, St Annes, pleaded guilty to four offences of intentionally indecently exposing himself July 5 and 7. He was remanded in custody for pre-sentence reports by Blackpool magistrates. Prosecutor, Martine Connah, said Crouch had deliberately targeted the seven-year-old girl after seeing her play with her tea set in the window of her home in St Annes about 6.30am. The girl said on four occasions he stood in front of her home wearing a black coat, opening it to show he was naked beneath. A horrified neighbour told the child’s mother. When interviewed Crouch said the trigger for his behaviour was when he saw the child waving out of the window. He had previous left the Clevedon area after similar allegations were made against him and he was afraid of repercussions. Michael Woosnam, defending, said his client, who had no similar convictions, was truly remorseful. • A woman who was feeling depressed stole two DVDs to watch when she got home to cheer herself up. Kieron Harford’s sister had been suffering from cancer and died while she was in custody having been arrested for the theft a court was told. Harford appeared at court in custody having been arrested again on a warrant after failing to attend a hearing because she had attended her sister’s funeral at Wrexham Cathedral. Harford, 55, of St Andrews Road South, St Annes, pleaded guilty to theft, going equipped for theft and failing to answer bail as soon as possible. She was sentenced to an eight weeks tagged curfew from 8pm to 6am and ordered to pay £50 costs with £80 victims’ surcharge by Blackpool magistrates who ordered the destruction of the bag. Prosecutor, Jim Mowbray, said a security guard at Sainsburys, St Annes, saw Harford conceal two DVD’s valued at £20 in a shoulder bag on June 12 and detained her outside the store. The bag had been altered to try and fool the store alarms. Martin Hillson, defending, said his client had suffered from depression for about five years. She had been prescribed medication by her doctor, but did not feel it was helping her. Harford had no alcohol of drug problems. The day of the offence she was feeling particularly low and took the films to watch at home. • A man has been cleared of breaching his bail by contacting his former girlfriend on social media. Jonathan Darwen was said to have used Instagram to express his feelings and the posts were not intended for his ex. Darwen, 40, of Lorne Street, Lytham, denied failing to comply with a condition of his bail. District Judge Alan Jones sitting at Blackpool Magistrates’ Court found the case against him not proved and he rebailed Darwen on the conditions he did not contact or attempt to contact his ex and did not follow her. Prosecutor, Scott Ainge, said Darwen had been bailed on the condition he did not contact his ex. On July 2, Darwen’s ex said she was driving when she saw him in his BMW. On seeing her he turned his car in her direction and followed her for a short while. Darwen’s ex said he also sent her posts on Instagram – which included the phrases “I love you until the end of time” and “I can’t breathe without you”. Kathryn Jamieson-Sinclair, defending, said her client had used the alternative name Frankie Brown when he used Instagram. His Instagram account showed he had no followers and therefore his post could not have been sent to anyone. • A seaside hotel where a three year old girl drowned in the deep end of its indoor pool has been charged with health and safety offences. The victim – Sarah Bell – was on holiday with her parents and six year old sister at the three-star Dalmeny Hotel on South Promenade, St Annes. She drowned in the indoor pool on August 14 2014. The owners of the hotel hotel face two charges brought under Health and Safety laws. They are said to have been an employer which failed in its duty to ensure the safety of guests in that they were exposed to the risk of drowning. They are also alleged to have failed to have made a risk assessment as to the safety of guests . The Bells come from Galashiels in the Scottish borders. The dead girl’s father is a gardener and her mother a supermarket worker. The hotel which has a turnover of £ 3million a year was represented by managing director Samantha Lewis. It entered no pleas to each allegation and District Judge Alan Jonessitting at Blackpool Magistrates Court sent the case to Preston Crown Court when he case will be heard on August 10.